YSIA to Happen this Weekend! The 2012 edition of the 6th annual YSFlight International Air Show is scheduled for this weekend - September 29th & 30th! The air show, a yearly staple of the YSFlight community, will take place at the Gatwick airport in the UK and will be featuring a variety of acts to include formation aerobatics, military jet demos, strike-assult displays, and much more. 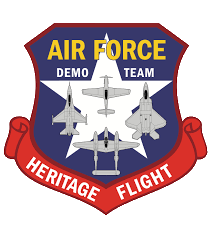 A variety of acts will be special for the show, to include the HAVA Air Show Team flying the Boeing 777 to mark it's first anniversary as well as a performance by Heritage USAF aircraft and the Blue Dolphins Jet Team. Other performers includes Sky Surfer Air Shows, the Super Hornet Demo Team, Legacy Flight, Razor Aerobatics, and much more. For additional details visit http://ysfhq.com/forum/viewtopic.php?f=141&t=4472]http://ysfhq.com/forum/viewtopic.php?f=141&t=4472 for schedules and information.